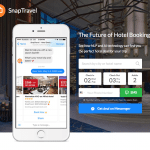 SnapTravel allows you to get huge hotel booking deals over Facebook Messenger or SMS texts with exclusive pricing and free upgrades at over 200,000 properties. 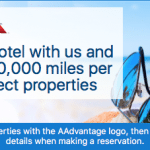 You can earn up to 10,000 AAdvantage miles per night when you book select hotels on the new American Airlines Hotel Booking Portal with over 1.2 million properties worldwide. 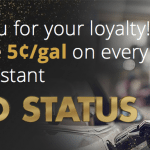 Check out this Fuel Rewards Program Instant Gold Status Offer to receive Instant Gold Status when you join Fuel Rewards, which gives you an automatic savings of 5 cents per gallon on every fill-up. 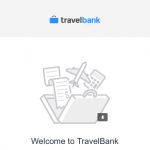 Booking.com is a discount travel booking portal for hotels, resorts, apartments, villas, hostels, B&Bs, guesthouses, campgrounds, and many other types of accommodations for stays all around the world. 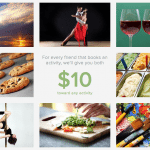 Vimbly is a fast and easy way to book thousands of activities, classes, and date ideas in cities across America. 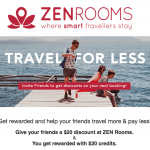 ZEN Rooms is a leading budget hotel chain in Southeast Asia with over 600 properties across over 35 cities in 8 countries, starting from only USD $8 per night. 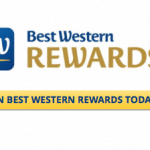 Best Western Rewards program members can earn a $10 Best Western Gift Card for every stay that you complete at Best Western Hotels & Resorts between February 13, 2017, and April 30, 2017. 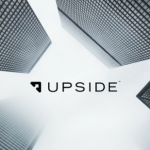 The Upside business travel booking portal, led by Priceline founder Jay Walker, helps companies save money on every trip that employees take with affordable flight and hotel packages. 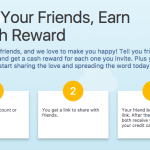 Plus, it provides business travelers with $100’s in Gift Card Bonuses to top retailers like Amazon.com, Target, eBay, Uber, and over 50 other merchants.